Was Intel’s decision to (almost) kill Core M deceptive, or was it inevitable? Two years ago, Intel introduced the Core M brand. The company hoped the new name would provide a rallying banner for its less powerful Core hardware, yet also mark a difference between Core chips built for the budget market and those built for extremely slim systems. The crossroads between low-voltage and low-cost has always caused confusion. All of Intel’s budget processors draw little power, but not all miserly chips are built for budget systems. I don’t see Intel making its lineup more confusing. I see Intel correcting a screw-up. Core M had problems from the start. Despite Intel’s best efforts, people caught on to the performance gap between Core M and Core. Core M became synonymous with slow, even if that characterization was a bit extreme. That would’ve been okay if it inspired the dramatic 2-in-1 designs Intel intended — but few came, and when they did, they were often underwhelming. The result? An unloved line of processors. Now, Intel has decided to all but kill Core M. The brand will continue only with certain “m3” grade components. Otherwise, they’ll be sold as Core i5 and i7, albeit with a slightly different name than their full-fat brethren. Is Core M’s death about deception? This move has caught some flak. But I don’t think that’s warranted. Why my lack of outrage? Mostly, it’s because this is unlikely to leave anyone with a bum PC. Core M isn’t the fastest, but it’s still plenty fast for anything short of gaming or workstation-grade productivity. The problem isn’t with the hardware, but instead the fact it’ll probably never be popular enough to justify its existence as a separate brand. And if you want to do either of those, well – whether you buy Core M, or not, is irrelevant. Here’s an example. According to our benchmarks, the Core m3 powered Asus Zenbook UX305CA needs about an hour to encode a 4K trailer that’s four minutes, 20 seconds long into h.265, if you use handbrake. 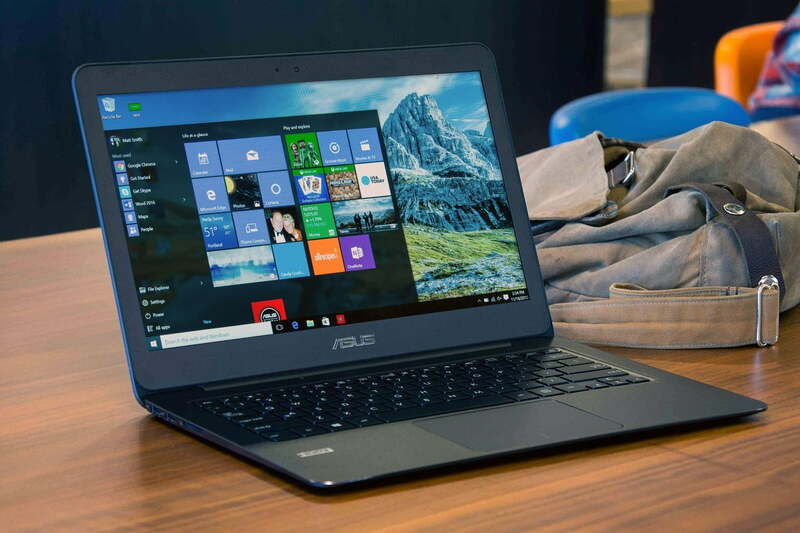 The Zenbook UX305UA, with Core i5 processor, needs about 27 minutes. Yes, that’s a big difference – but both of these devices are just flat-out bad at this task. You shouldn’t buy either for video encoding or any seriously demanding software. It’s a similar story with games. Asking yourself “Should I buy Core M, or Core i5?” often meant you were asking the wrong question. To put it differently, I’m not convinced that knowledge of a specific processor is what folks need to worry about. I think they do a lot better by thinking broadly about what they want. Want incredible CPU performance? Well, you’re buying a quad-core. Want to play games? Well, you’re buying discrete graphics. Want battery life? Well, you’re buying a dual-core, and you can chuck graphics out the window. The “average” person does a lot better when focusing on these broad strokes than when trying to dive into the minutia of model numbers. Besides, Intel isn’t treading new ground here. Core M was not an entirely new concept when it came into existence, but instead a fork from Intel’s earlier “Y”-series components, which existed for years. By getting rid of (most) Core M chips, Intel is just reverting back to its earlier strategy. I don’t see Intel making its lineup more confusing. I see Intel correcting a screw-up. The company thought Core M would attract attention to the thinnest, lightest PCs. Instead, it caused more confusion than it was worth. It made manufacturers design the wrong products, and it made consumers ask the wrong questions. Imagine that Intel didn’t start to kill Core M. Would buying a laptop be simpler? Not at all. Intel would merely have another brand to choose from, making the process more complex. If you want proof, just ask yourself which is better – Intel’s Core i5-6200U, or Core m7-6Y75? I’ll see you in a few hours. So, Core M? I say good riddance. No one wanted it, and it never offered clarity.